Playground Games hosted their third Forza Horizon 4 Seasons livestream today, broadcasted directly from their studio located in Leamington Spa, England. This one was a song of ice and tires as the multi-coloured leaves of Autumn transformed into a white and barren Winter landscape – in the most beautiful way possible. 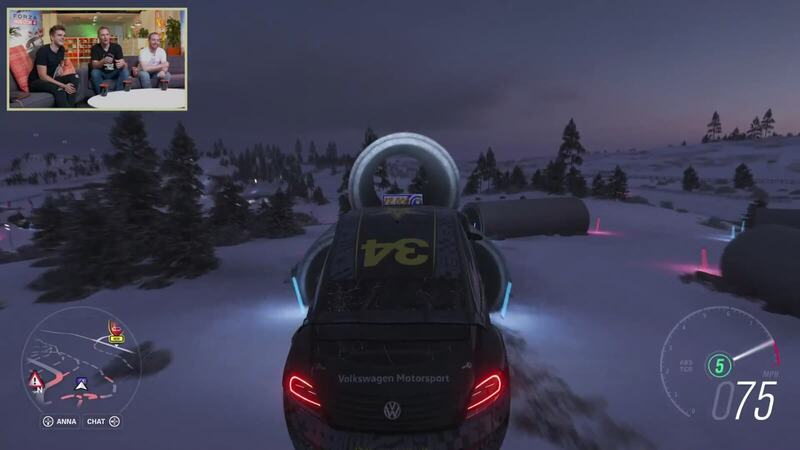 This third edition into Playground’s weekly livestreams offered an in-depth look at the snow and ice-filled conditions of Winter in Forza Horizon 4. 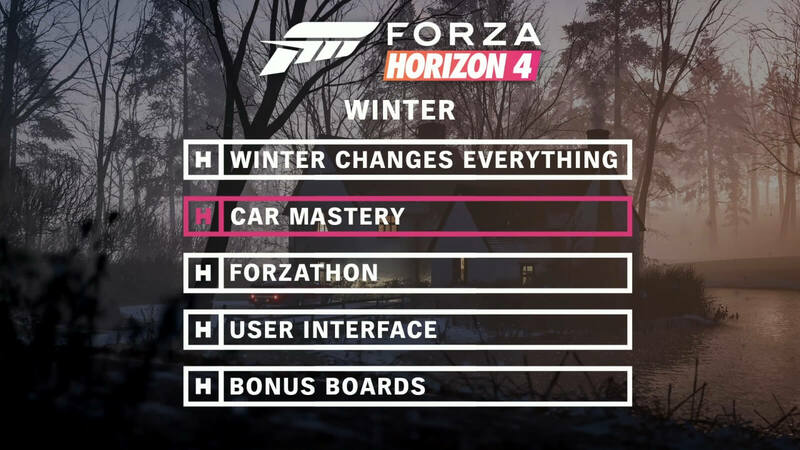 That include how the snowy, ice-covered roads and surroundings change your experience of the game, as well as a first-look at the all-new Car Mastery perk-based progression system, plus a more detailed look at Forzathon, the user interface, and some cheeky smashing of well-placed and hidden Bonus Boards. As usual, the livestream was hosted by Xbox On’s BennyCentral, who was joined by Playground Games Creative Director Ralph Fulton, Art Director Ben Penrose, and Chief Game Designer Ben Thaker-Fell, as well as Lead Cinematics Designer Matt Turner and Lead UI Artist Rich Burns to showcase the user interface the team has built into Forza Horizon 4. The full on-demand livestream can be found above, whilst our in-depth recap is below. Let’s get into it! This week’s livestream began in the same location as last week – the Glen Rannoch area in the Perthshire Scottish Highlands towards the north of the map. The team wanted to show how different it looks in comparison to Autumn and really emphasize how seasons change everything – and there was certainly a radical overhaul to be seen in terms of how the map and environment looks when you compare Winter to Autumn. 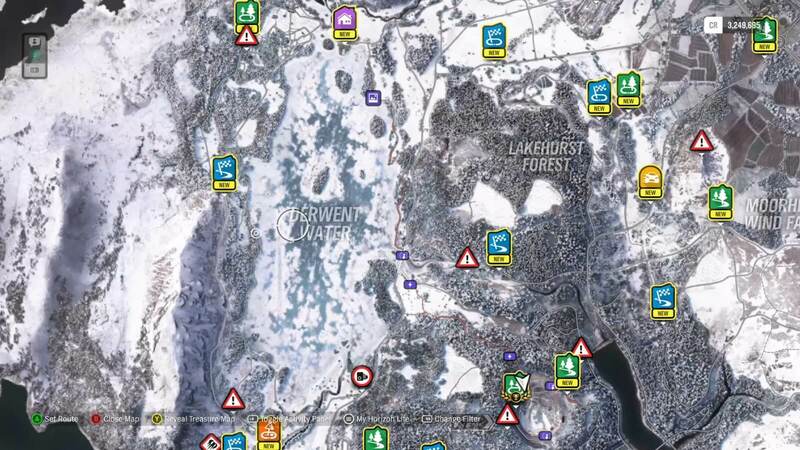 Forza Horizon 4 has a total of 531 roads, the most that has ever featured in the series. In fact, the Scottish Highlands looked completely different as the surface became covered in snow with the trees withered to just their overall framework of bark and twigs. The roads might be snow-white, but you could see tire marks as the rest of the world appeared carpeted in Winter conditions. It looks stunning, and you can still smash through those old stone dykes if you desire. There’s also patches of ice everywhere, which are slippery for your car to drive on, as well as frozen-over ice lakes and even snowmen by houses and within towns. Forza Horizon 4’s Creative Director Ralph Fulton revealed that there’s also plenty of roads from the 523 in Forza Horizon 4 that aren’t covered in snow during Winter, so those who desire to take out a McLaren P1 hypercar without the fear of an accident can totally do so. 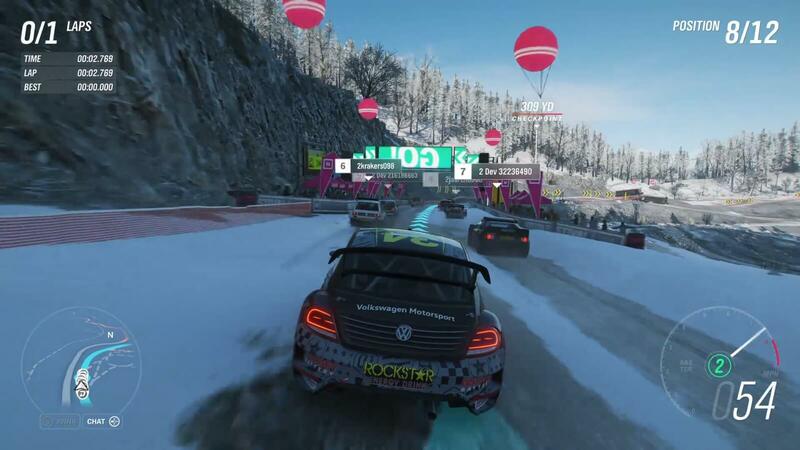 In fact, there’s a huge range of gameplay available in Winter – with the developer saying to expect more than in comparison to any other season. Additionally, the snow in Winter is also deformable with various level of depth to the snow in different locations. As mentioned, there’s also some clear roads in Winter, especially towards the forestry around the south of the map where there’s more frost rather than snow. Playground Games revealed that this year’s ‘Beast from the East’ storm – which affected the UK and Ireland hard, actually helped the team to do additional research. Playground Games’ Level Designer and Car Coordinator Andrew Baranowski headed back to the Mudkickers Adventure Park to see how driving through the mud and snow felt in real-life to ensure it’s authentically replicated in the game. You can learn more about the adventure park in our coverage from last week, but Playground’s Art Director Ben Penrose did say that Baranowski returned with useful data and insight for the team. There’s also extreme snowy weather in Forza Horizon 4’s Winter, but the developer does stop short of calling them “blizzards,” saying it is “blizzard-like weather,” and if you’re British, you’d probably call it a blizzard as they often have a habit of exaggerating these things. Like in other seasons, there will be animals present on the map, and they can even carve paths and marks into the snow – just like vehicles. 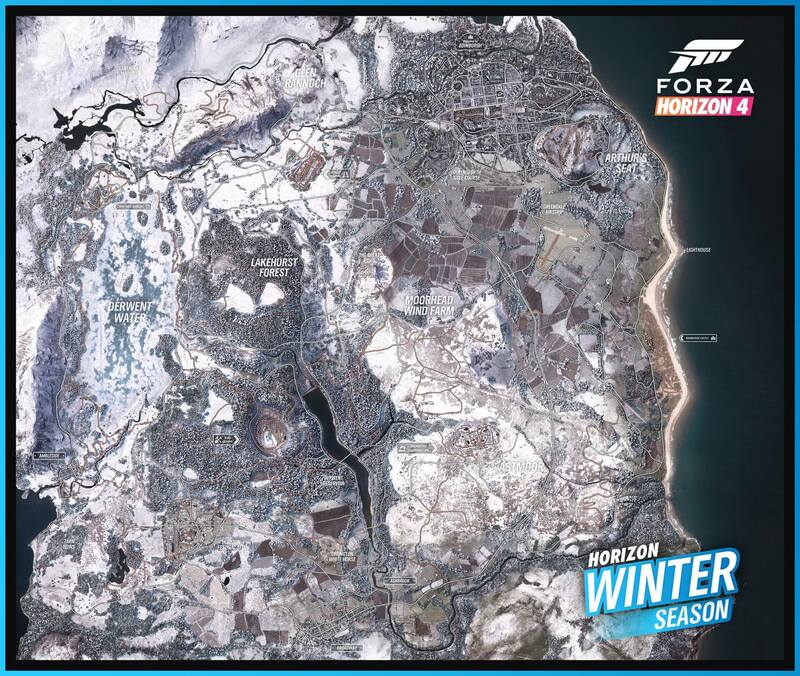 Playground also reiterated that seasons will change for everyone at the same time in Forza Horizon 4, regardless of the time-zone, but Ralph Fulton did offer some additional detail in terms of how the switchover works and the way the player will be notified of a seasonal change. Forza Horizon 4 will show an on-screen countdown for when a season change in imminent, and when it happens, players will be greeted with a season transition cinematic before the game fades back up in a few seconds with the season transition complete. If you’re not on Forza Horizon 4 when a seasonal switchover occurs, then you’ll simply see the transition cinematic once you return to the game, and you’ll obviously be informed that the season has changed too. Car Mastery is a fresh progression system in Forza Horizon 4 that offers new ways to earn Perks and spend Skill Points on cars. Perks were introduced in Forza Horizon 2 and offered players the ability to acquire 25 unique special abilities that impacted their game. Forza Horizon 3 tripled this to 75 Perks with some of them being renewable. However, in Forza Horizon 4, all cars have their own series of Perks to unlock – and these are acquired via Skill Points. Think of it as a skill tree for every car in the game. 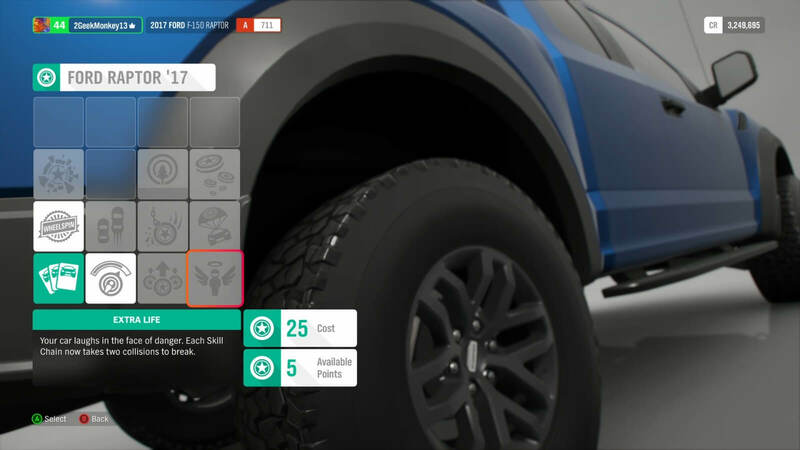 The Ford Raptor F-150 was shown as an example, with one of the new Perks forcing skill chains to take two collisions before they break. There’s also Car Collection Influence to earn from these Perks to benefit your campaign progression. Each car will have up to 16 Perks within a mastery tree, with each costing anything between 1-25 Skill Points, depending on the usefulness and benefits of the Perk. Different cars in Forza Horizon 4 will have different Perks, including Forza Editions such as the Aston Martin Vulcan. Some of them are tuned towards cross-country racing, whilst others are made for off-road dirt racing, street racing, drifting, and so on. Another Perk example showcased allows car skill multipliers to build twice as fast, which is great for the progressive Forzathon Live events. There’s also one that offers a certain percentage increase for different Skills performed. Barn Finds will also have their own Car Mastery Perks to unlock as well, but remember, some Barn Finds only appear in certain seasons, with Ralph Fulton saying that each season has at least one seasonal Barn Find associated to it. One of the examples you’ll likely be familiar with is the island in the middle of an ice lake, which will have a Barn Find that can only be accessed in Winter when the lake it is situated upon has frozen over. Forzathon events were introduced in Forza Horizon 3 with weekly challenges available to complete. 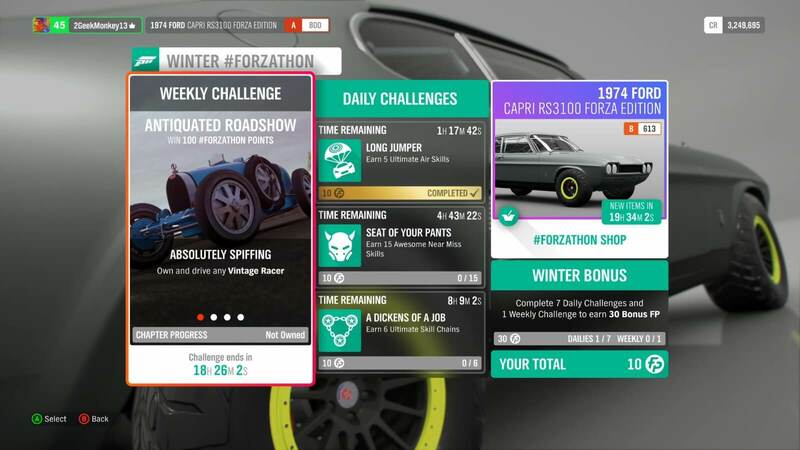 Forza Horizon 4 turns it up to another level with the introduction of daily challenges, alongside the weekly events we’re familiar with and the Forzathon Live on-the-hour cooperative challenges that Playground has already showcased. There’s not a huge time investment needed for the daily or weekly events. In fact, the daily challenges will likely be completed for you without even thinking of them – it’ll just be a nice reminder of your progression as you play. The weekly challenges, meanwhile, are always about a specific vehicle, car type or manufacturer. There’s four stages in a weekly challenge which you’ll need to complete if you wish to unlock the associated reward. An example of these challenges shown on the livestream was the ‘Antiquated Roadshow’ – a dickens of a job well done there and a nod to some fantastic British telly. 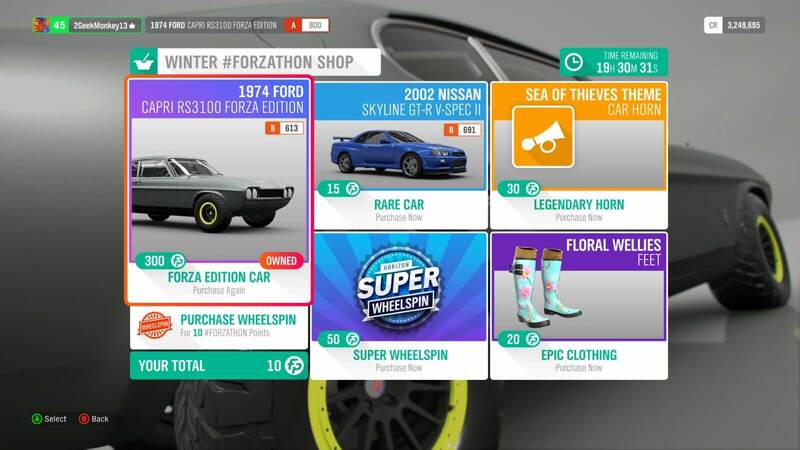 There’s also the Forzathon Shop, which allows you to spend the points you earn from Forzathon events on a variety of rare and exclusive items. The stock refreshes every week with the seasonal change, and includes cars, wheelspins, clothing, horns, and more. Super Wheelspins are also available and they allow you to win some of the best prizes in the game. It’s like a proper slot machine, and they include more rare and legendary-graded items – plus you’ll earn three prizes every time you spin one. 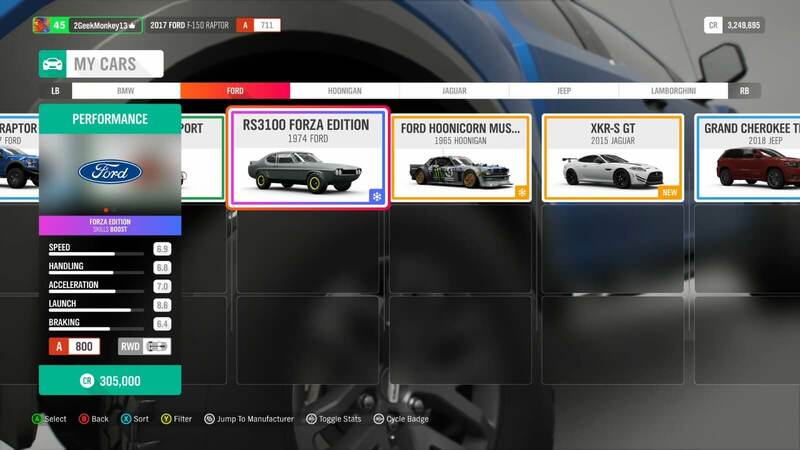 In addition to the Forzathon Shop, the Auction House will make its return in Forza Horizon 4. This is where players can sell their vehicles or buy cars on auction from the community and outbid others for a chance to steal a cheap or rare ride. The Convoy feature from Forza Horizon 3 will also be coming back in Forza Horizon 4, but instead of teaming up with Drivatars, it’ll be used to team up with real-life drivers instead. This turns back on the collision model for the players in your Convoy, which is perfect for tandem drifting. 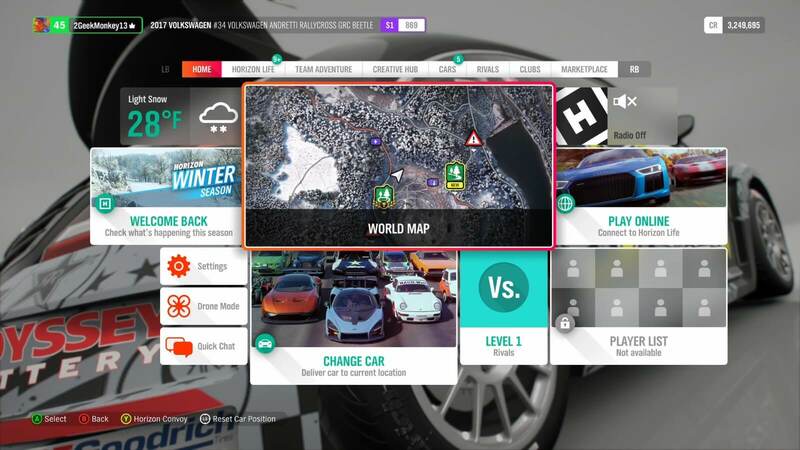 Playground Games has heavily modernized and innovated upon the user interface in Forza Horizon 4. It takes some key areas introduced in Forza Motorsport 7, but repurposes them for the open-world beauty and action-packed fun of Forza Horizon 4. Lead Cinematics Designer Matt Turner and Lead UI Artist Rich Burns were on-stream to discuss and showcase the changes in Forza Horizon 4’s menu interface and how it has been built to fit into today’s modern world. Forza Horizon 4’s interface is mostly centered around the pause experience. It wraps info around a selection of core pillars – Home, Horizon Life, Team Adventure, Creative Hub, Cars, Rivals, Clubs, and Marketplace. Some of the neat little visual cues include a radio toggle in the pause menu that highlights the album art of the song you’re currently listening to in-game. There’s also a weather indicator with the current outdoor conditions and temperature. Outside of the pause menu, there’s a new ‘white-space’ that combines the UI and gameplay cinematics together as one. 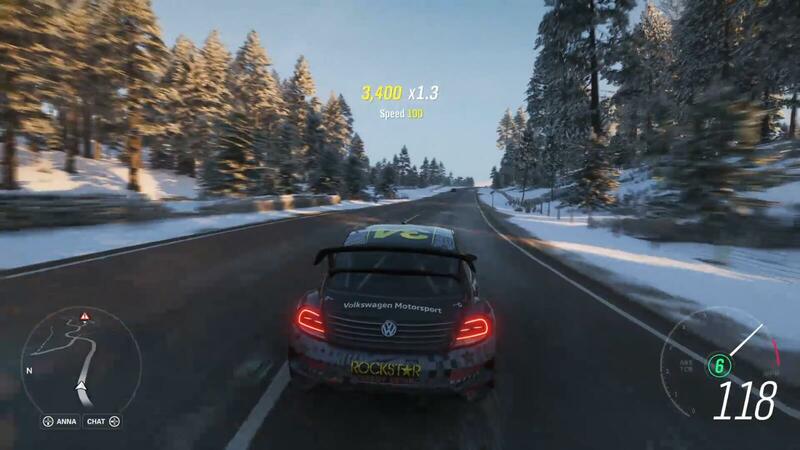 It allows live gameplay to naturally flow into the user interface, which is reminiscent of Forza Motorsport 7’s persistent loading experience – where there’s always something to do on-screen as the game loads within the background. UI elements will display in Forza Horizon 4 as you enter events and different locations, and it’s all seamless without unnecessary loading breaks. Finally, as you pass the finish line in a race in Forza Horizon 4, the game’s transition from the event into the interactive post-race screen will be entirely smooth. This means you can spin your car in the finish line and allow it to appear the same way as the game transitions to the post-event user interface screen. Again, it’s like how the post-event screen displays in Forza Motorsport 7, and it’s a welcomed addition no doubt to Forza Horizon 4. Bonus Boards make their return in Forza Horizon 4 as Influence Boards. They were a gameplay mechanic first introduced into the Forza Horizon series as an easy way of allowing players to explore the open-world and discover new locations. Over the years, the team has improved at Bonus Board placement and innovating on the gameplay around them – and this can be most recently seen in Forza Horizon 3, and it’ll certainly be showcased once more in Forza Horizon 4. In fact, this week’s livestream highlighted some of the most deviously hidden Influence Boards around the map, with excellent driving skills needed to reach and hit some of these boards. Many of them will also have “real problem solving and skill-based gameplay,” the developer says. One example includes an Influence Board stuck in a cylinder. This one requires the player to perfectly drive off a land upset at a precise speed to squeeze the car directly into the tube and hit the board. Once you get it, your car should fly out the other side! Another Influence Board is in Broadway at the south of the map. It’s at a house, the back garden of one to be precise. The board is inside a children’s football goal, and as a driver, you’ll need to ruin the garden to get it. Hopefully the family won’t be too bothered by that one! 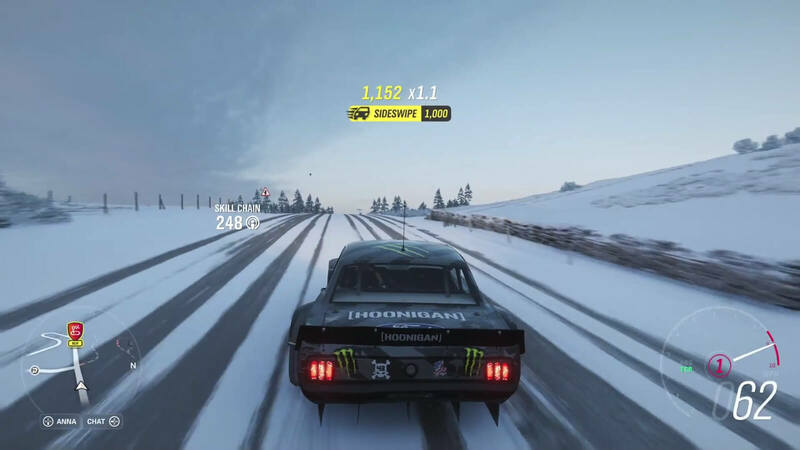 Playground Games also demonstrated a Danger Sign using Ken Block’s Ford Hoonigan Mustang in an effort to smash yet another Influence Board – and it was certainly a tricky one to land! This took place during the night, at which Ben Penrose noted that night-time in Forza Horizon 4 now has “proper shadow casting lights” from the car, which adds a new dimension and an all-new form never seen in the series before. The surrounding environment also does the same, and Penrose noted that it looks particularly fancy in a race with a bunch of cars driving together. Seasons do change everything in Forza Horizon 4. It’s something that has been made clear from these recent livestreams from Playground Games and Ralph Fulton also clarified during today’s broadcast that there’s no ability to manually change the season in private freeroam or solo gameplay. The online server or the system clock of your Xbox One console or Windows 10 PC will control the season transitions – and as previously mentioned, everyone will experience them at the same time. However, there is an exception to this rule, and that’s the fact that Horizon Blueprints – which are custom-made player-curated events that can be shared with the community, will include the ability to force a seasonal change for that specific race event. 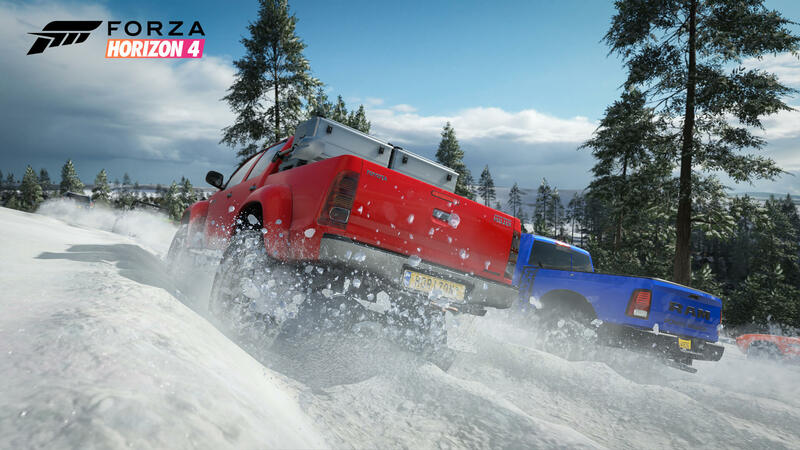 Players can choose between Summer, Autumn, Winter or Spring when blueprinting new events in Forza Horizon 4. As for next week’s Forza Horizon 4 Seasons livestream, the snow and ice will be long-melted as Spring sets in on beautiful, historic Britain. 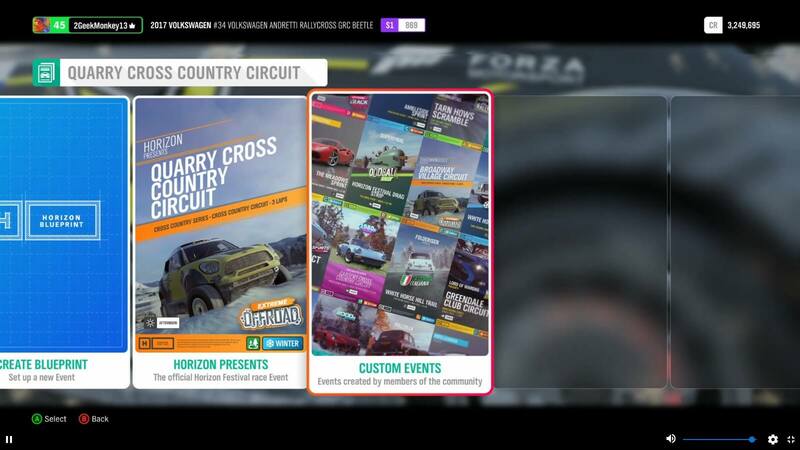 It’ll be the final broadcast of Playground’s weekly seasonal livestreams on Forza Horizon 4, and fans can expect the reveal of a Spring-themed map on social media – like the one we received today for Winter, as well as a guided tour of Edinburgh City and a showcase of the competitive-inspired Team Adventure online mode. Both were supposed to be highlighted in today’s livestream, but they were mysteriously pushed back onto next week. 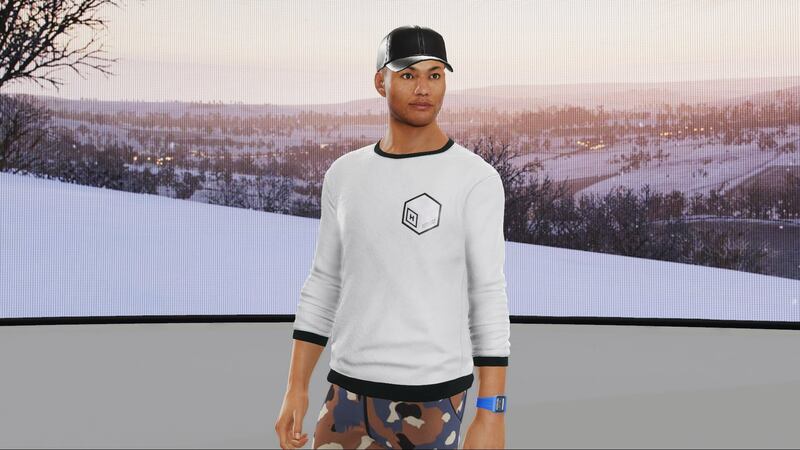 This exclusive Forza Horizon 4 driver jumper was also handed out to lucky viewers on Mixer. The Forza Horizon 4 Winter livestream also ended with a video recap of the past broadcasts so far, so be sure to check it out if you missed them. It’s also worth having a look at our detailed recaps for the Summer and Autumn livestreams, as well as our hands-on impressions of the E3 2018 demo for Forza Horizon 4, which goes deep into seasons and discusses how they really do change everything in Playground’s upcoming open-world racing game. Forza Horizon 4 will be available for Xbox One and Windows 10 PC on October 2nd, 2018. It’ll also be available on the Xbox Game Pass subscription service from its release date. However, those who wish to experience the British Horizon Festival before anyone else should check out the Ultimate Edition, which allows you to start playing four days early from September 28th. Don’t forget to tune into next week’s Forza Horizon 4 Spring livestream on Tuesday, July 31st at 7pm BST (11am PDT, 2pm EDT) on Mixer. It’s sure to be a little sunnier and warmer than Winter, but periodic rain showers are expected, so you best be bringing a coat or jacket with you.